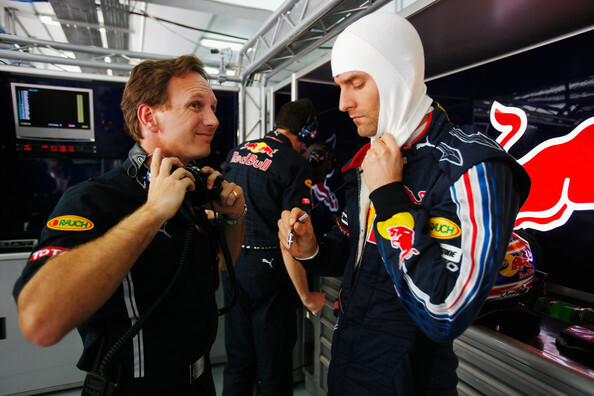 Speedmonkey: Is Christian Horner stupid or just selectively deaf? Is Christian Horner stupid or just selectively deaf? Politicians, and F1 team principles, often lie - or tell half truths - in order to not have to admit something that will make them look bad or that will be damaging to them or their brand. "I think he has obviously decided to take things into his own hand. The guys in the factory are a bit more disappointed that they read it on the Internet rather than heard something direct. But that is the way these things are sometimes." When asked if Webber could have given the team more notice, Horner said: "I suppose an hour's notice is a bit short... but a decision for a driver to retire can only come from him. We suggested it on 4 April then published yet more evidence of Mark's move to Porsche on 14 April. It was all over the internet which, presumably, Red Bull team members use occasionally. Also, Mark said yesterday he had been keeping Dietrich Mateschitz up to speed with events. Apparently the mechanics at Reading Porsche, where Mark takes his GT2 to be serviced, knew about his move months ago. Yet Christian Horner didn't know. Did he have his fingers in his ears and his eyes shut when he was first told about this, singing, "La la la la la la can't hear you. Not listening."? Better to come out and tell the truth, Christian, than act like a petulant teenager.